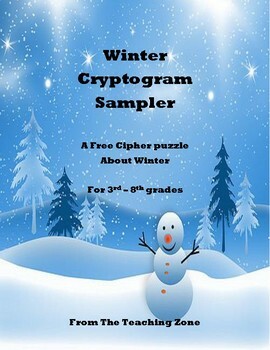 This is a free sample of my cryptograms. I make them for my students all the time, and I'm going to be uploading more of them soon. This is just an example of one. 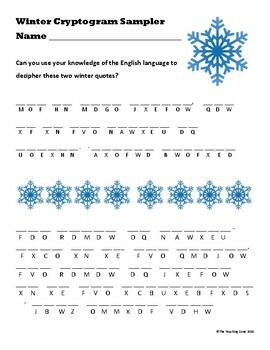 Normally you would get 3 different puzzles in an order, all of them with and without the clue. 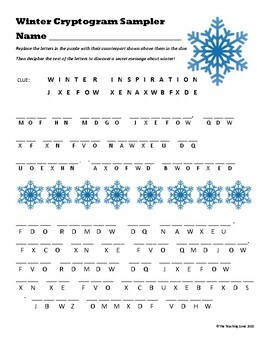 If you'd like to see the full product, I have uploaded my Thanksgiving cryptograms. Thanks for checking out my work! Please leave feedback so I can keep working to improve!